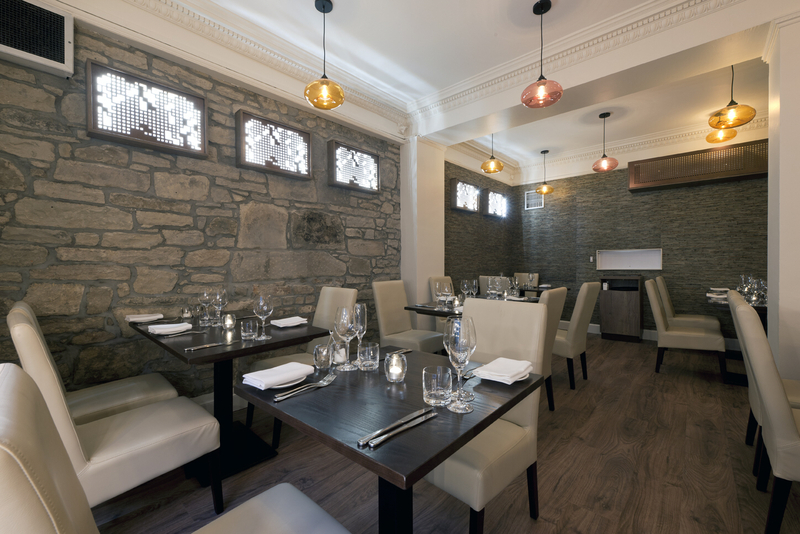 After a month – long hiatus business has resumed as usual at the newly refurbished Wedgwood the Restaurant on Edinburgh’s Royal Mile. The new and striking interior of Wedgwood the Restaurant has been designed by Nikki Rennie, interior designer at Pride Shopfitting Scotland, who worked in tandem with owners Lisa and Paul Wedgwood to ensure that their visions were realised. 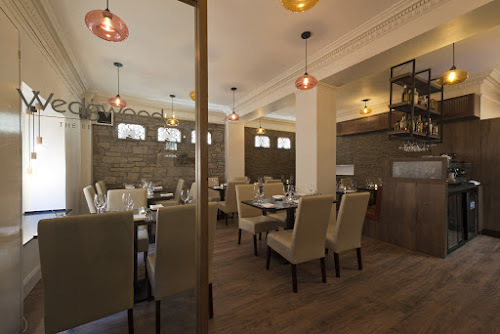 Wedgwood’s ethos is founded on a relaxed dining experience with a Scottish twist, and thus it was important to Lisa and Paul that the new look of the restaurant blended harmoniously with this. In an effort to celebrate and honour the unique nature of the historical building in which the restaurant is housed, the refurb has incorporated natural materials such as wood and natural fibres. While uncovering some original features, including an exposed brick wall and old fireplace, which Lisa and Paul have decided to preserve. Ensuring the upkeep of the relaxed atmosphere desired by its owners, the restaurant’s newly curated ambience is light, bright and airy with refreshed sand and cream coloured walls (a dramatic change from the previous look). There are hints of contrasting copper and black, setting off the acoustic wood-effect flooring that minimises any unwanted noise – allowing for the relaxed ambience to be maintained. Changes to the restaurant layout include a new small banquette-style seating area at the back of the restaurant and a completely new bar, guests have remarked on how spacious and light it feels. Changing the bar area has allowed for greater space and flow between tables. 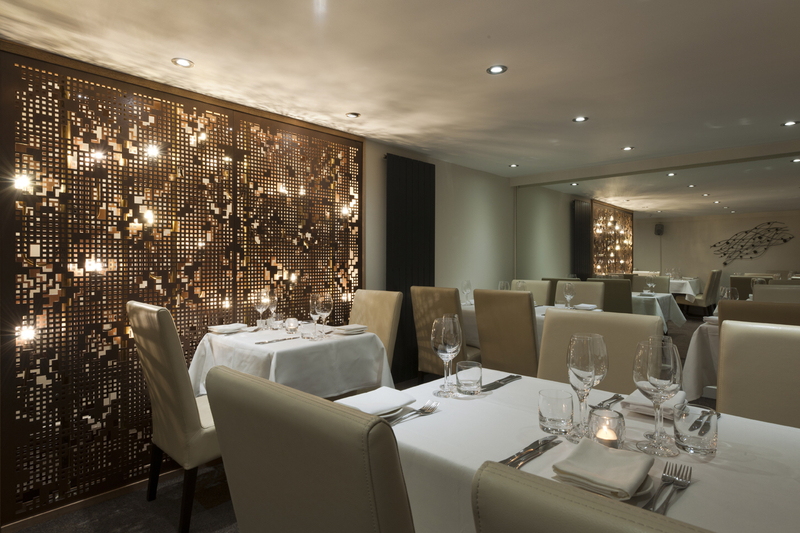 One of the most unique new features to the restaurant is the atmospheric light screen downstairs, something that Chef Wedgwood had personally overseen, which makes the intimate space even more special and romantic. The removal of wall lights for sunken spotlights has added to the atmosphere.